Skull tattoos have become very common. The image of a skull was first used by pirates a few centuries ago between 18th and 19th century. They were the first group to have used this image and sometimes combined with crossbones. The skulls were drawn on their flags which they flown so that they could frighten the victims to surrender without a lot of opposition. They were used as a sign to the victims that if they didn’t give in they would be slaughtered. The skull became so popular because it was associated with death. Therefore, the New York State adopted the skull and crossbones as a label to the containers of poisonous substances as a warning to consumers to be more careful while handling these substances. Even today, the Skull and Crossbones continue to be used in many countries as a warning against poison and death. This led to people using skull in tattoos to symbolize different meaning that a skull can represent. These tattoos have a variety of meanings. The meanings may represent both positive and negative qualities. Some can represent evil while others represents good things. They are most commonly associated with dangerous things especially the reptiles such as snakesand other things like fire. 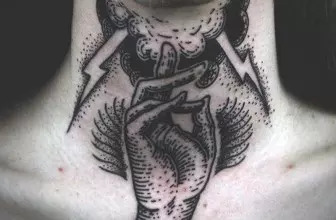 People have different opinions concerning these type of tattoos especially in terms of their appearance. Mainly, these tattoos are very common amongst the bikers. Different biker groups normally use skull tattoos to display their groups. In fact, they wear it to symbolize their lifestyle or themselves. Bikers live a dangerous life because riding is very risky and often some of the colleagues die from accidents during riding. Thus they use skull tattoos to mean their nature of life being risky. The most common and widespread known meaning of skull tattoos and skulls is death. In this case,skull tattoos can be used as a memorial tattoo to symbolize remembrance. Someone may use it to symbolize death of a loved one or someone that they knew. For instance, people have used a skull together with a ribbon written the name of the person that they are remembering. The skull dark may not be pleasing especially when its a memorial tattoo and hence people tend to decorate it with some other appealing colors. 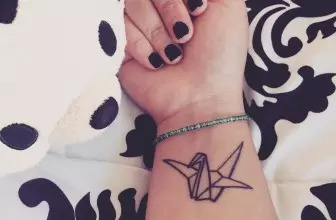 This type of tattoo can also symbolize or represent an individual who overcame death . The bearer of the skull tattoo may have undergone through a dangerous situation like being infected by killing disease and overcame. Another person could have survived a tragic car accident while others could have been involved in a heavy battle and survived even after being shot. Alternatively, attackers may wear a skull tattoo to show that they killed a person. 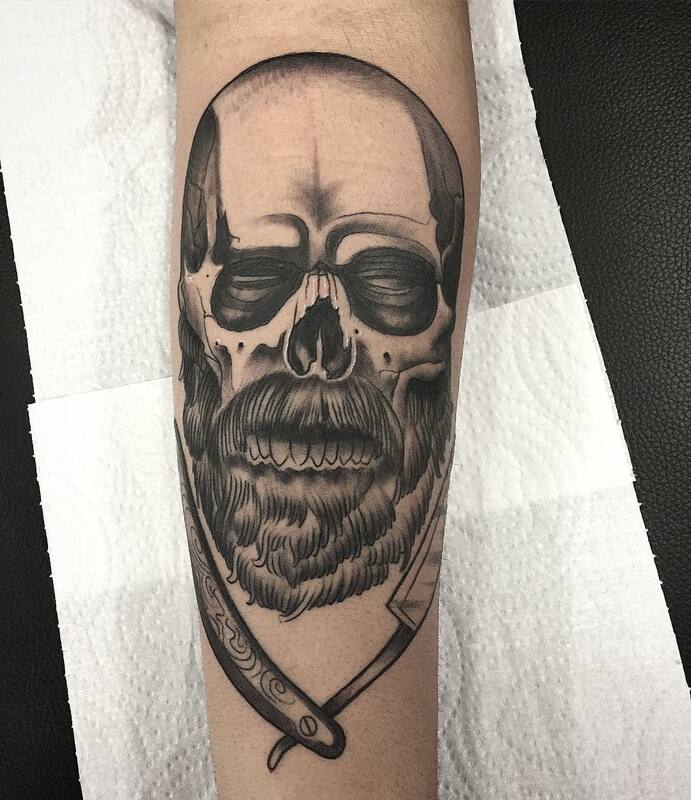 This tattoo that is adopted by a person who feels that at one time he or she escaped death is referred to as Grim reaper tattoo. People may use skull tattoos also to mean a change in their life or a changed past. Sometimes we make mistakes and choose wrong path at some point in life. These skull tattoos can be used to show that a person has changed her bad qualities or behaviors to a better character. 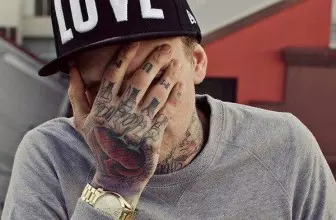 For instance, a drug addict may wear a skull tattoo to show that he has been rehabilitated and overcame the addiction and they he has changed his life to living positive and sober. Someone may have done things the wrong way in the past and may acquire a skull tattoo to show that he has left his past bad character. 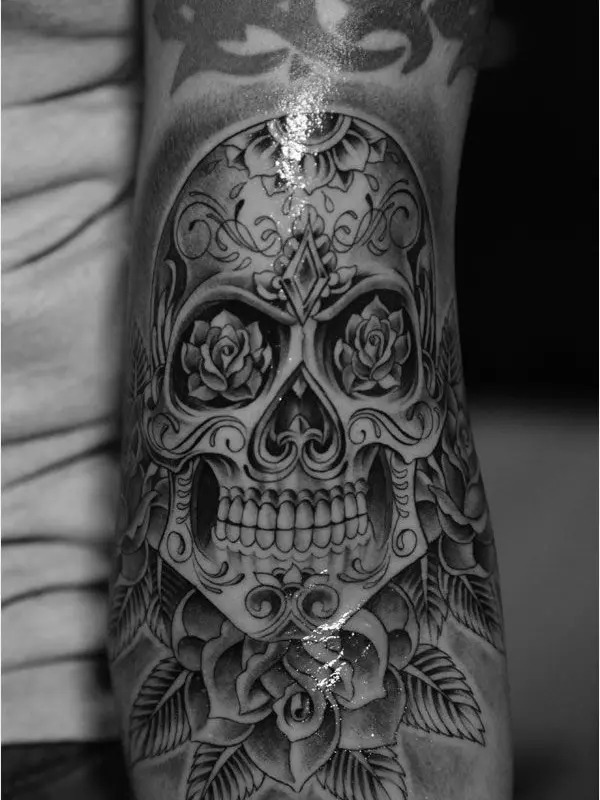 Thus, the skull tattoo symbolize his change from his past lifestyle. The two additional meanings of skull tattoo are power and strength. Someone may believe that wearing this tattoo will give him strength and power and it will represent that fact to him. Moreover, these tattoos can also be used to mean good luck. You may have observed that there are many individuals with skull tattoos at casinos. They use the skull as a symbol to end a bad streak. Some gamblers will also have skull tattoos with them. However, this is just their believe nobody can guarantee that it works. These tattoos can be placed on various parts of the body. However, men prefer mostly having these tattoos on their sleeves. That is the upper part of the arm. Other places include the back, the thigh (ladies), the chest (men) and a few people place them at the neck. These are tattoos that are very common among Mexicans that are used to celebrate the dead. They are a tribute to the loved ones who have already passed away. They are referred to as sugar because they are made up of clay molded sugar with other decorations from feathers and beads. They are ideal for both men and women. These are skull tattoos that are used to represent negative feeling. 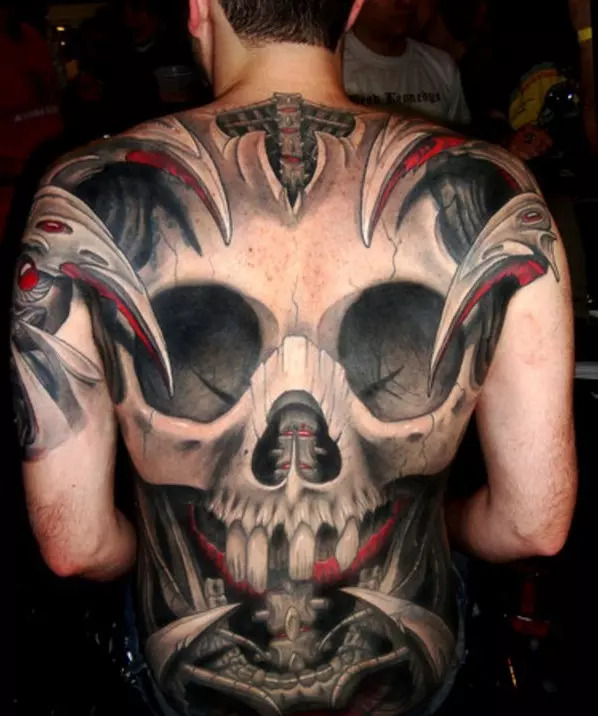 They are made up of skulls that are frightening and mainly do not incorporate other features that may add some decoration to the tattoo like the sugar tattoos. This tattoo is made up of both a skull and a rose. It is mainly used to show contrast of both good and evil. A skull is drawn surrounded by rose flowers or one rose flower at the top. 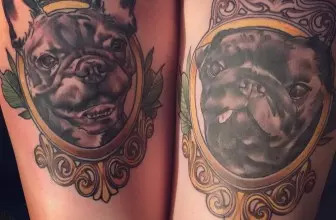 People wear these kind of tattoos as a reminder of the difference between beauty and decay. 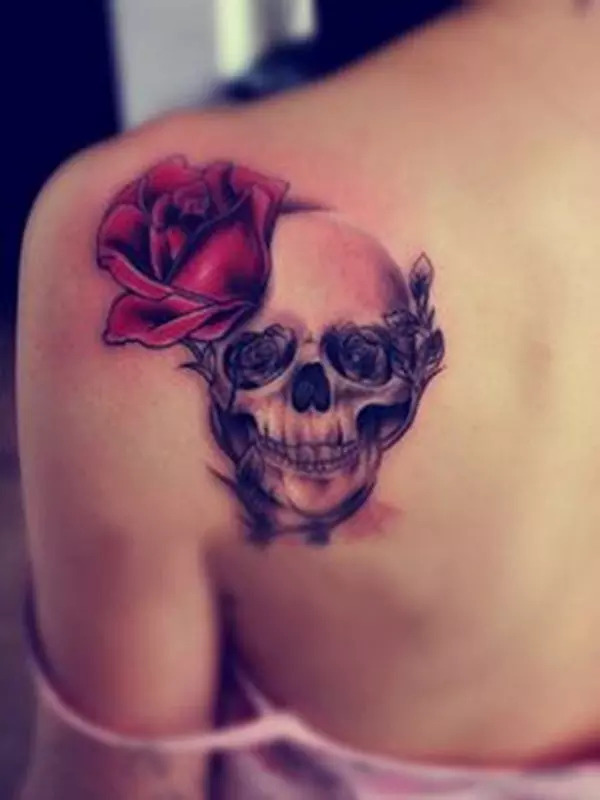 This type of skull tattoos is called girly because it is mainly worn by females. It contains designs that are flowery. For instance, the skull may have heart shaped eyes. Other designs normally have diamond shaped eyes. This type of skull tattoos is attractive to the eyes. This type is often common among Christians as the name suggests. They use to them to symbolize eternity. They are made up of a skull coupled with other Christian’s symbols like the cross, crown on top of the skull, butterfly, rosary etc. It is also a good type with great designs that are worth trying. The above discussed skull tattoos have so many designs. As long as a skull is present in a tattoo, it makes it a skull tattoo but the meaning may be different. 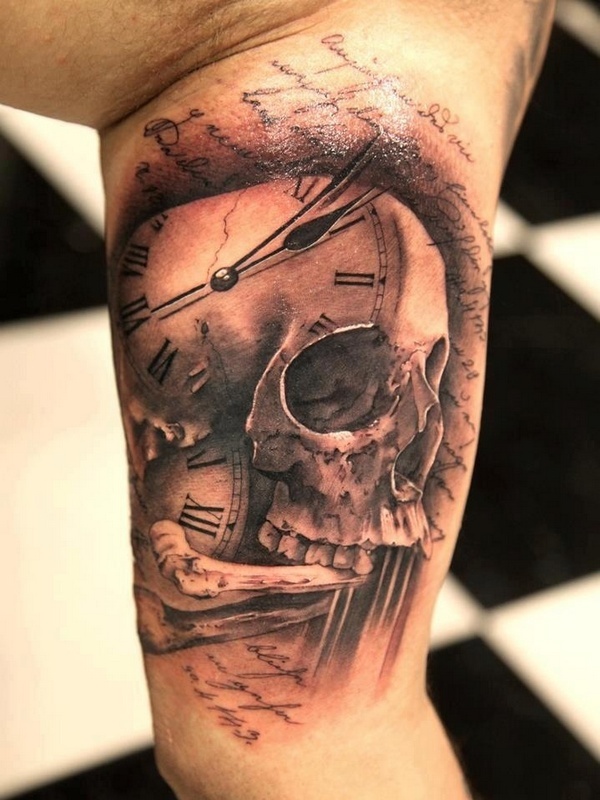 Therefore, it is important to identify what you want to symbolize with a skull tattoo before choosing one.